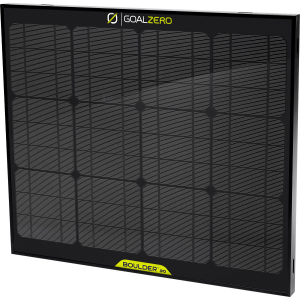 The Goal Zero Boulder 30 Solar Kit is a pair of rigid, portable solar panel that provides up to 30 watts of power each (under optimal conditions) to be stored within your Goal Zero portable power packs and solar generators. 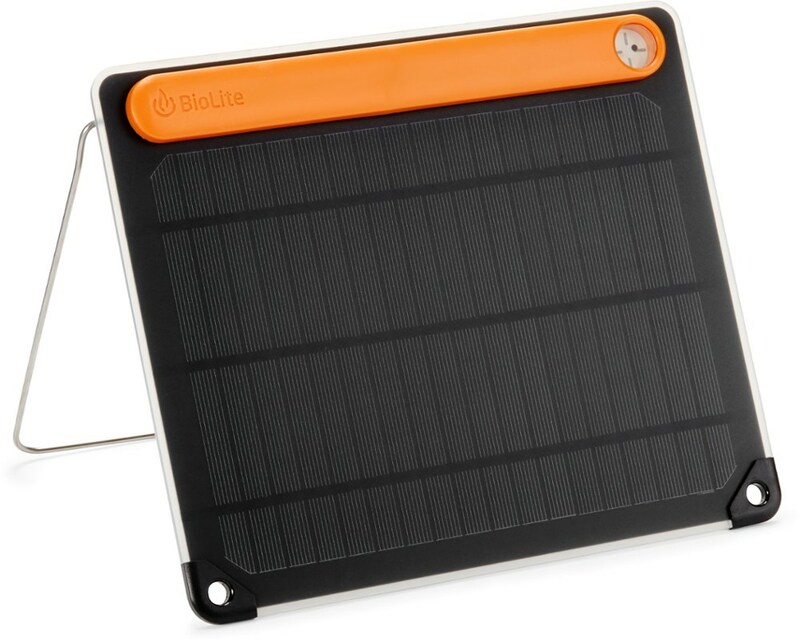 It provides power to the Goal Zero Sherpa 50, Yeti 150, Yeti 400, and Yeti 1250 via an 8mm Solar Port, eventually powering your laptops, media players, tablets, smart phones, and other electronic devices. Charging time ranges from a couple of hours for smaller portable power packs to over a day when you're powering larger solar generators. The following is the charge-up time for each device: Sherpa 50 v2 (4-8 hours), Yeti 150 (11-22 hours), Yeti 400 (26-52 hours), Yeti 1250 (20-24 hours with two Boulder 30 panels). 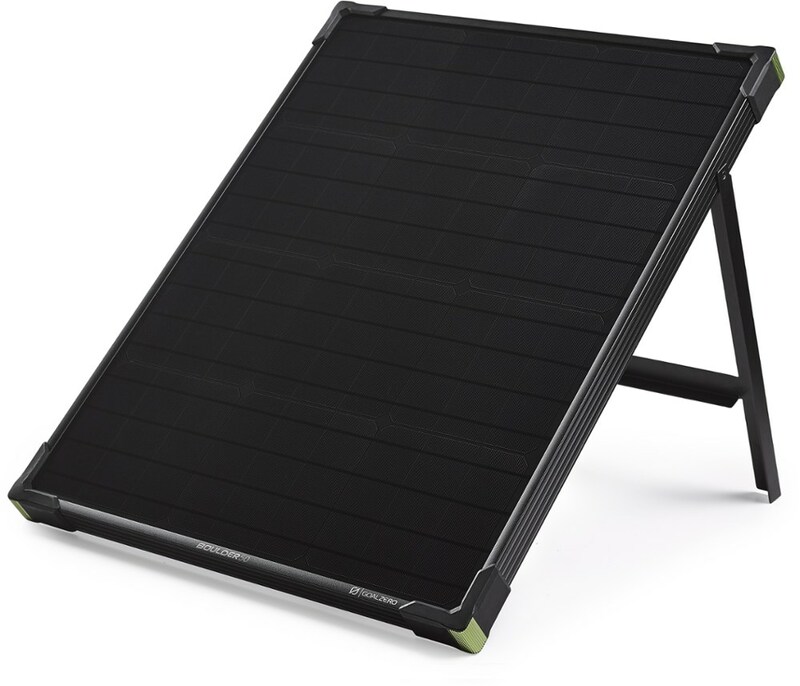 The Goal Zero Boulder 30 is a solar panel with versatility. Because of its strong tempered glass and the aluminum frame, it can be installed, but it's light enough to take with you. Great for RV, cabin, camping, and trickle charging, or anything you can think of. 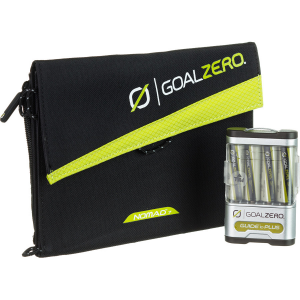 This complete kit from Goal Zero includes 2 Boulder 30 solar panels and a travel case to help protect them during transport. 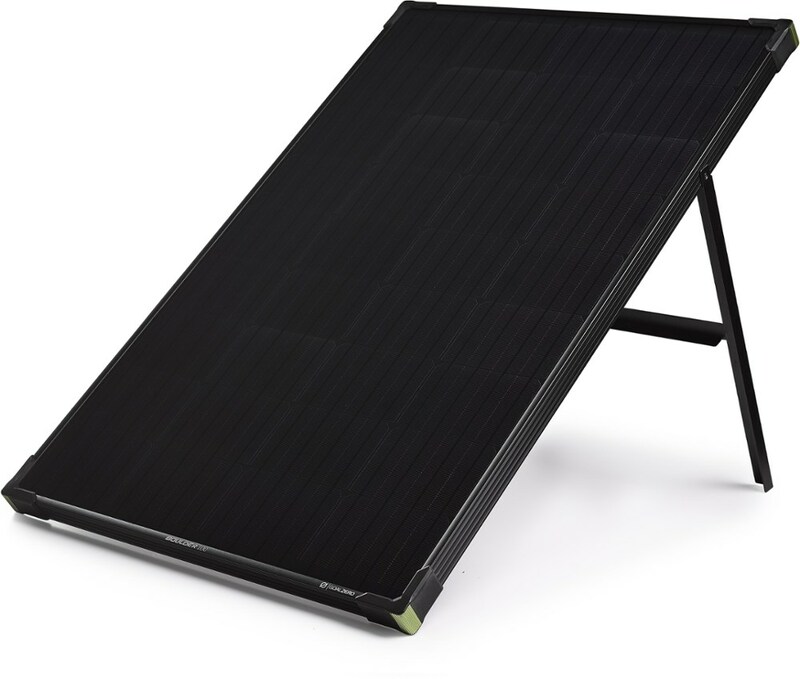 The Boulder 30 solar panel can be installed because of its strong tempered glass and the aluminum frame or you can take the lightweight panel with you. 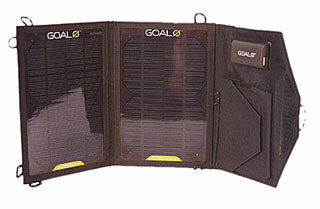 This product will be shipped directly from Goal Zero and will leave their warehouse in 2-3 business days. Eligible for UPS ground shipping only. 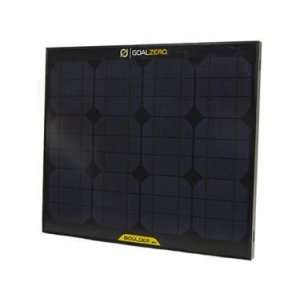 The Goal Zero Boulder 30 Solar Kit is not available from the stores we monitor. It was last seen February 8, 2019	at Backcountry.com.